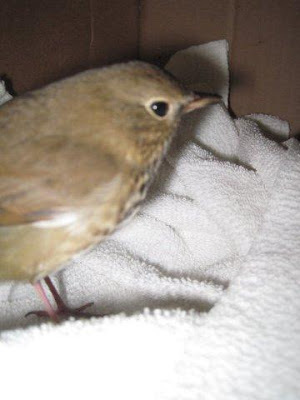 At REGI we are always well aware of what bird species is migrating through our area. While many people have birding reports to rely on, we actually have the "bird in the hand" so to speak. Merlins are on the move as well. Small but powerful falcons, Merlins dive or "stoop" at a high rate of speed. Our newest Merlin patient is a female. She is a big strapping lady bird with a wing injury. I never tire of experiencing what can only be described as their exuberance for life while they are captive. 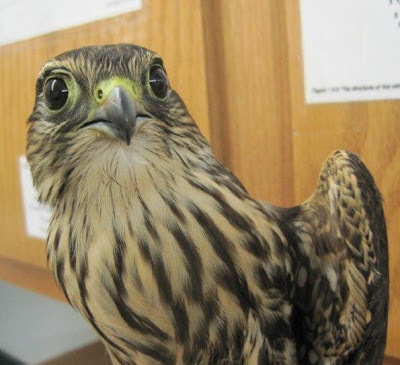 While some species are patient patients, Merlins do not fit that description. We had a busy day "chasing eagles" on Wednesday. We had 5 Bald Eagles in the large eagle conditioning flight. It was time to catch up each of them to evaluate their release readiness. In the end, over an hour later, Katie, Alberta and I were all huffing and puffing, and one of the birds was still happily avoiding capture. He is the epitome of being well-conditioned. We were too exhausted to take photos of this event. But, trust me, it was very cool! The weather has been nothing short of gorgeous this week. I love the change of the seasons. 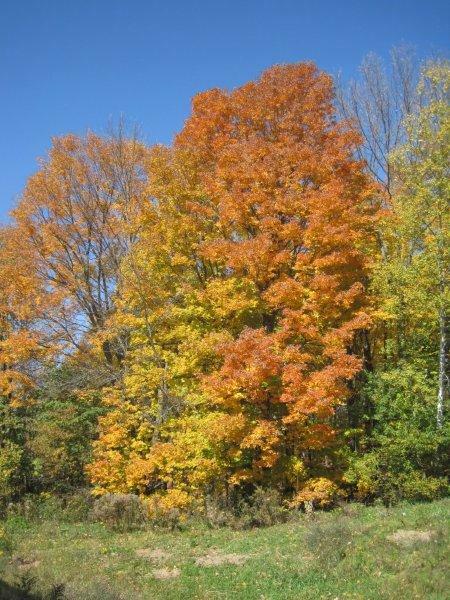 Fall is beautiful with the brightly colored leaves. It is also, however, a warning that winter will be upon us before we know it. We are making the most of preparing for the inevitable. 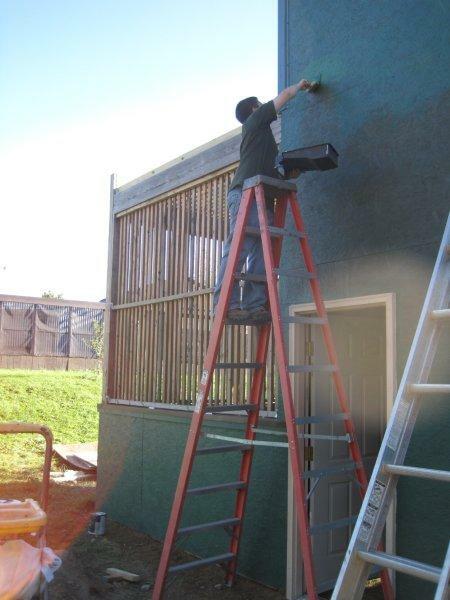 We will be working until the snow flies getting painting done, winterizing the mews and enclosures, and doing repairs to existing buildings. If you have some time, give a call and come on over to lend a hand. I promise, you will be warmly greeted and will definitely feel needed. You can reach Molly at 715-623-2563 or the clinic at 715-623-4015 if you want to volunteer some time.